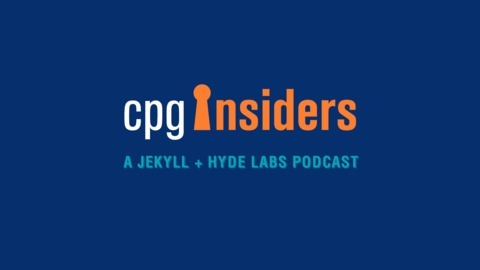 CPG Insiders brings the insights and expertise that Jekyll & Hyde has gained and leveraged across more than two decades in the advertising business, becoming the top agency in the country for CPG challenger brands. 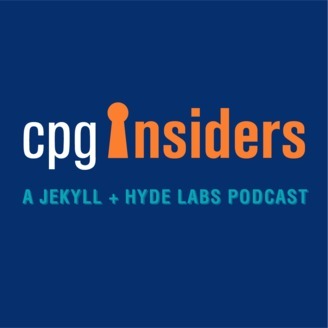 On the podcast, host Mark Young (agency CEO and Chairman), along with co-host Robb Taylor (Vice President, Chief Creative Officer and Creative Director), answer the questions that our clients most often ask about creating better marketing campaigns. They offer useful perspectives and insider information on creative and media strategies, product packing, retailer needs, trends, traps to avoid and more about what it truly takes to succeed at retail. On this episode, Mark and Robb welcome master broker David Biernbaum back to the show to discuss the timing of getting your product onto retail shelves. They explore a number of practical recommendations on how to impress buyers during your meeting, as well as the technicalities of what to expect once you have a contract with a retailer. As a manufacturer in the CPG industry, it always helps to have a broker working with you who understands the business already. If you’re lucky enough to get a meeting with a retail buyer, you have to remember that you are selling to the buyer, not to the consumer. Be prepared to explain how you’ll get consumers into the store, but the buyer needs to quickly understand that going into business with you will be worth it for them. David brings a wealth of advice and warnings about the process of getting into retail, offering crucial insights you won’t want to miss. In 2010, David founded “Consumer Goods & Retail Professionals”, a LinkedIn group for members to share industry information, news, referrals and friendship that now has more than 70,000 connections. David resides in suburban St. Louis and is a devoted fan of the St. Louis Cardinals and St. Louis Blues, as well as the Tigers of the University of Missouri-Columbia, his alma mater. Visit his website, http://biernbaum.com/, and follow him on Twitter: @davidbiernbaum.